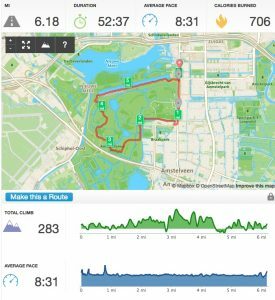 I missed my goal of 80-miles in London, so I was determined not to miss my goal in Amsterdam. 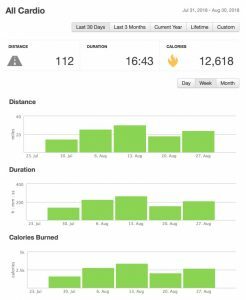 I set the same goal of 80-miles before we even arrived. 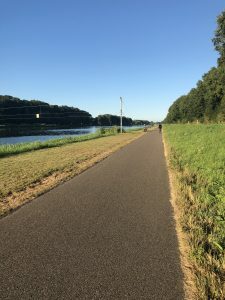 After my first run in the Amsterdam Forest, I knew that if I was going to hit 80-miles Amsterdam was gonna be the city it happened in … and I was right. 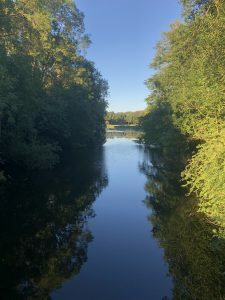 My running loop was 6-miles. I tried to shorten it, but I just didn’t want to. 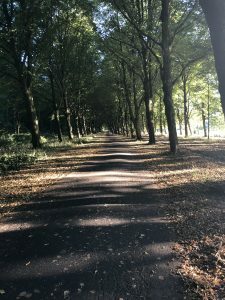 I loved my running loop through the Amsterdam Forest. It was peaceful and calming. My run took me about 55 mins, which was a bit longer than I typically want, but I embraced it. There were times, I actually had to give myself “permission” to enjoy the 1-hour to myself. 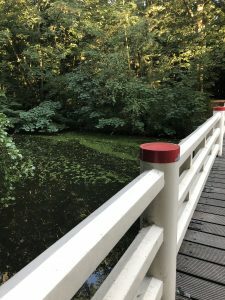 Here are a few pictures of my running loop in Amsterdam. Future cities will have a hard time beating this running loop. In addition to running, I found a Pilates Studio. Since I’ve started running more, I’ve noticed my body is stiffer, so I wanted to get back into Pilates. 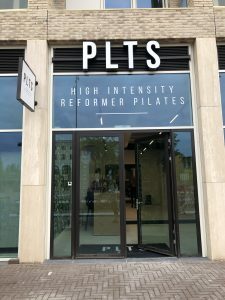 I found a great little studio here in Amsterdam called PLTS, it’s like a PureBarre, but for pilates. I loved it. 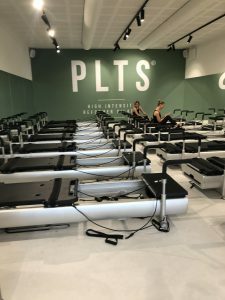 I made it to three classes and it made me realize how much I’ve missed pilates! If at all possible, I’d like to try to make it to a couple pilates classes in each city. I was back to a good ole’ drip coffee maker in Amsterdam, but it didn’t have a timer … so Nolan became my auto-drip setting. I gotta say after 5-years of motherhood, this was the first time that Nolan actually serviced a purpose for me personally. Every morning when he woke up, after coming in to say … Piccadilly … he would head downstairs and push that glorious little On button. 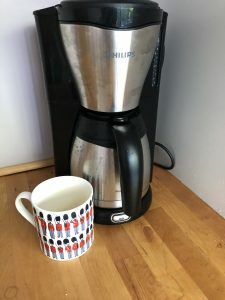 I would snuggle back in for about 30-mins and then get to wake up to freshly brewed coffee! HAPPY MOMMA!!! 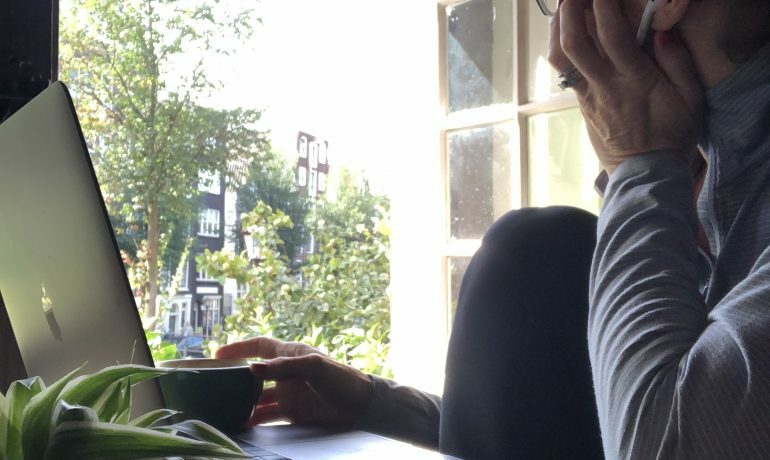 I also made my best attempt to visit as many coffee shops as I could in Amsterdam. They were all so amazing. 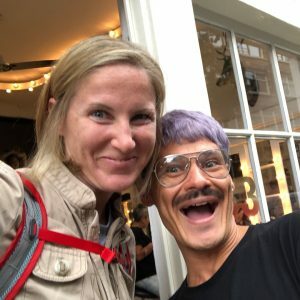 I actually dedicated an entire blog to all the coffee shops I visited! I’ve gotten a few Moms Day Out while in Amsterdam and tried to take full advantage of my “me” time. By far my favorite thing to do was just ride my bike around the city and pop into coffee shops. I loved sitting and enjoying a cup of coffee with a book or just enjoying the sights of the city. 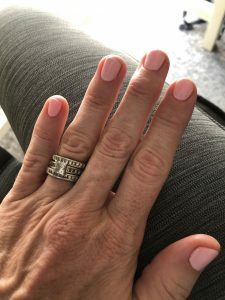 I did get a few manicures while in Amsterdam, but I was less careful about where I popped in. As like in the US, there were salons on almost every other corner, so I would pop-in, take a look around, and if it looked clean and well kept, I would stay, if not, I just left. Prices were comparable to back home. 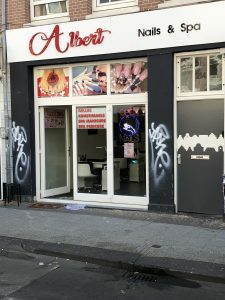 I went to Albert Nail & Spa in Albert Cuyp Market twice. I stick with my heavy research approach for eyelash extensions and got my lashes done twice at Eyelash Extension Amsterdam. NAME did lashes from her home, but she did a good job. I thought they were a bit of a softer application than in London, but I liked them. My big ticket item for Amsterdam was my hair. I also heavily research a hair salon before selecting Oh You Pretty Thing. Lee did a great job. The color was on point and the cut was great too. Nice layers, but not too short. Keeping my hair long enough for a ponytail is a MUST with running. Finally, I am still really loving working second shift. I wasn’t sure it was possible, but I’ve watched even less TV in Amsterdam than I did in London. I’ve read two books and really enjoyed both. Honestly, there isn’t anything I didn’t love about Amsterdam. One day, I would live here. There were so many times I would be riding my bike around the city and I would just get teary-eyed. Call it happiness, call it contentment, I’m not sure, but I felt really at peace here. There were so many times I would catch myself taking a deep cleansing breath just because. I loved the bikes! We never even attempted to figure out the transit system since we had bikes. We rode our bikes everywhere. I always knew that I really enjoyed bikes, but I thought I would miss a car a little bit, but I don’t. I could see myself purchasing a bucket bike and a nice city bike and just embrace life on 2-wheels. Cooking! I feel like we got back to a better schedule with food in Amsterdam. We had a family schedule and Jim & I coordinate dinner times so that we could sit down and eat together Monday through Thursday. 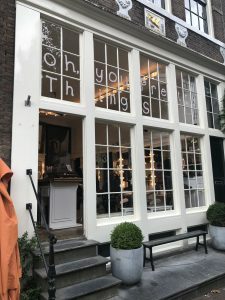 I think it made Amsterdam feel more like home, we ate better, and I personally really enjoy cooking, so getting back to looking for recipes, grocery shopping, and cooking makes me, in general, a happier person. Ah, I got one! The mosquitos are TERRIBLE. Because its been so warm and the entire city is basically filled with canals, the mosquitos are INSANE. There isn’t air conditioning here, so that means the windows are left open and the bugs come in. We became human smorgasbords at night. Oh, the other thing I thought was really strange, holding hands while riding bikes — AND texting while riding a bike. Bikes are, by far, the primary way people get around the city, so I guess it leads to texting-and-biking?? Back in the US, we have texting while driving, so I guess that makes sense. The other thing I thought was really strange couples who held hands while riding a bike. Personally, there is no way I am coordinated enough to hold Jim’s hand while we bike and secondly, there’s no way Jim would do that. Great update. Appreciate you taking the time to wrap up your stay. Todd, first thanks for your comments. It is really good to know that someone actually reads all my crazy posts. I am writing them for my own memory for sure, but I like knowing that others enjoy them too.